Your existing customer base is a goldmine. These are people who already know your business, and are familiar with you. These are people who have already established a relationship with you by buying your product or service. But are you maximizing your customers? Attracting a customer and turning them into a buyer can be a costly and time-consuming process. If you are running an e-commerce business, you may have spent dollars on pay-per-click search engines to find that buyer. Or you may have taken the time to write an article for your local newspaper in the hope to get word around about your business. You may have advertised in another web site, a trade magazine, or even purchased a direct mail list. Hence, it is extremely important for a small or home business to maximize and increase the value of every customer. 1. Make an offer as soon as possible. 2. Consider the amount spent on the original purchase. The higher the amount spent, the more likely to turn them into a repeat customer. Customers who have previously bought a premium product or service, or bought items from you in bulk have already invested significant goodwill in your business. These are the type of customers that will be easier to persuade to purchase more. 3. Offer the customer a great value. Even though you have established a previous relationship with your customer, you still need to establish an amazing value unavailable anywhere else. The customers are more likely to buy if they think that they will get an even better deal than what they previously got. 4. Your approach should refer to product affinity. Whether you contact your previous customer by phone, email or in person, your chances of selling again to the same customer increases if you refer to the original purchase or product. This will help refresh their memory (particularly if the original transaction went smoothly) and allows you to create an instant relationship with them. Your email will have a greater chance to be read; or you can keep the customer on the phone listening to you much longer. Objections should be addressed. One challenge in trying to sell to a previous customer is overcoming objections. This is particularly true if the buyer was not fully satisfied on the original purchase — e.g. the e-book purchased may be long on promises but short of actual new learnings; the gift basket may fall short of the buyer’s expectations; or the buyer may be having problems listing the web site that you designed in the search engines. Let’s face it: you cannot please all customers, but how you prevail over their objections can mean the loss or gain of additional business from them. If you tap less-than-happy previous buyers, the best approach is to overcome objections before they even have a chance to come up. Acknowledge the problem, and offer solutions to the problem. 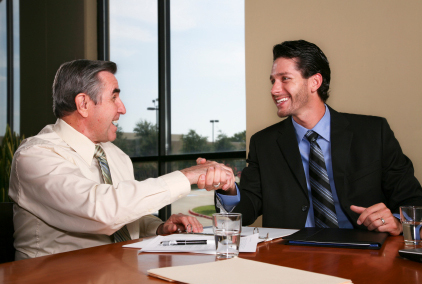 The intent is to elicit trust in your buyer through your honesty and candor.